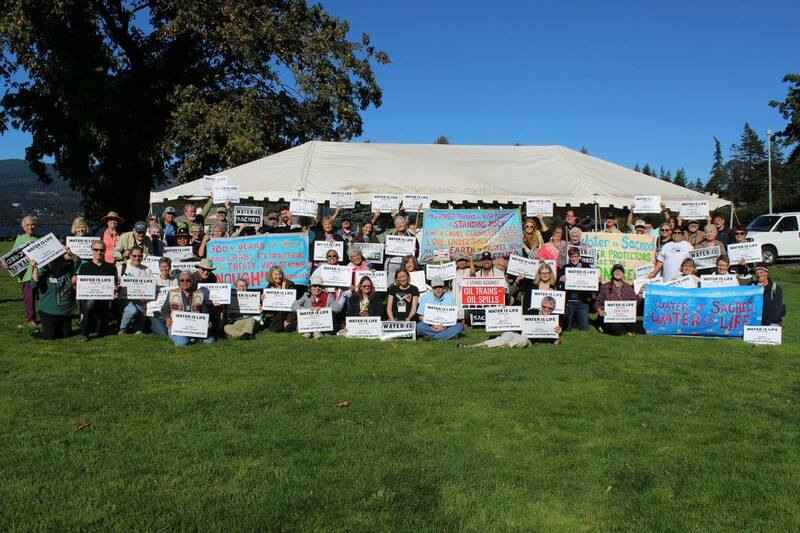 A beautiful, relatively smoke-free week in early fall greeted Presbyterians and others from across the country as they gathered at Menucha Retreat & Conference Center on the Oregon side of the Columbia River Gorge the last week of September. After an unauthorized firecracker sparked the Eagle Creek fire in early September about 20 miles east of the retreat center, and a fire season with an unusually high number of days filled with smoke hanging over the gorge and Willamette Valley, I didn’t take the view for granted. The multifaceted issues relating to the fires brought home the need for the Presbyterians for Earth Care conference being held there, with the focus, “Blessing the Waters of Life: Justice & Healing for Our Watersheds.” Oregon Public Broadcasting reported on issues such as air quality, evacuation of local communities, the local economy, transportation disruptions, conservation and forest management best practices conversations, disruptions to education, threat of landslides after the fire and rain, difficulties for fish and fisher-people, threats to the drinking water source for Portland, and concern over tribal fishing areas and the health of the fish population tribes rely on as an important food and cultural resource. This one fire is an apt metaphor for the way that humanity is interacting with creation in harmful and avoidable ways, with multiple dimensions of consequences, and it is again feeling pertinent and relevant as so many are under forced evacuation around Los Angeles, CA right now due to the Thomas Fire and other fires in Ventura County. How do we work toward justice and healing in our watersheds that are so vulnerable and so resilient, so full of life and hope, and so marked by human carelessness? 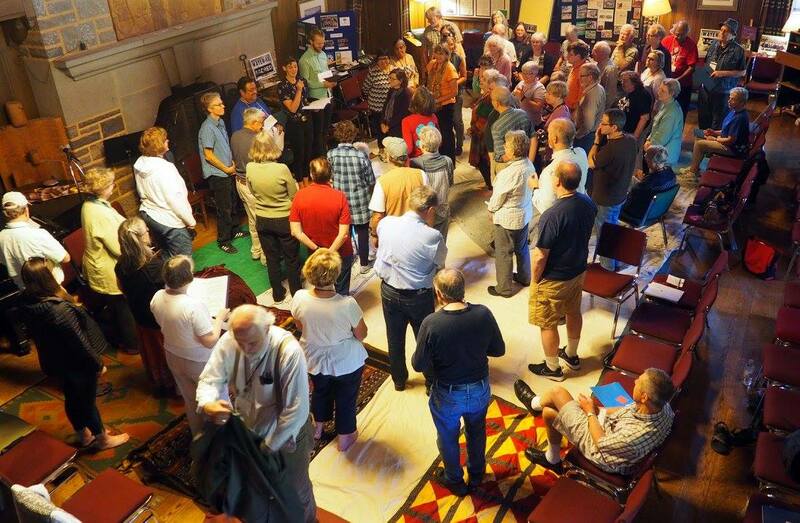 The Presbyterians and others who gathered that week in September came with these and other questions, with a desire to care for creation, and with a hunger to learn more about how to deepen their environmental practice. Each participant was instructed to learn the name of their watershed before attending, as well as the people group that called their region home before Europeans arrived. The conference included a pre-conference environmental justice immersion entitled, “SPIRIT OF THE SALMON – Water, Culture, and Justice in the Columbia Watershed” (Sept. 25-26, 2017), and the main portion of the conference occurred Sept. 26-29. 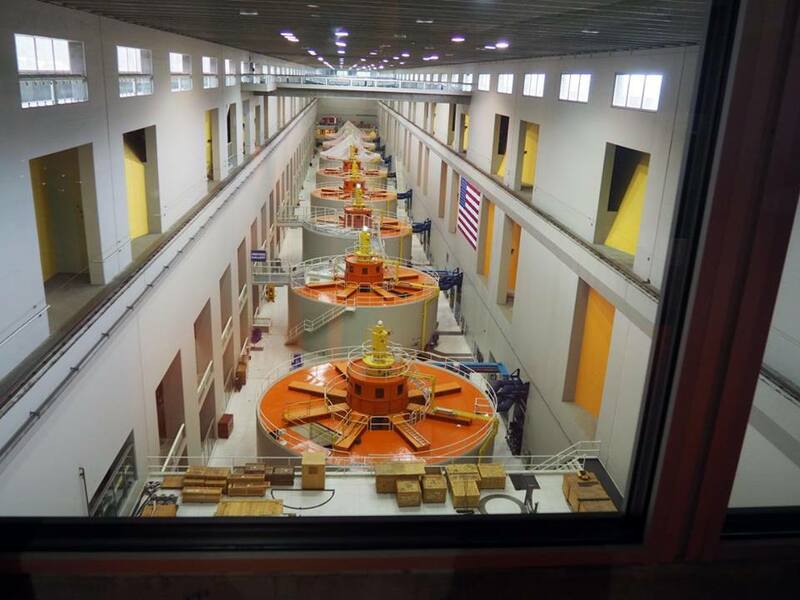 I only got to attend for a couple days and did not get to go to the environmental justice immersion, but it included education by the local indigenous population, the Columbia River Tribes, field trips to the former site of Celilo Falls and current Bonneville Dam, as well as the site of an oil train spill, and a salmon feast with the tribes. 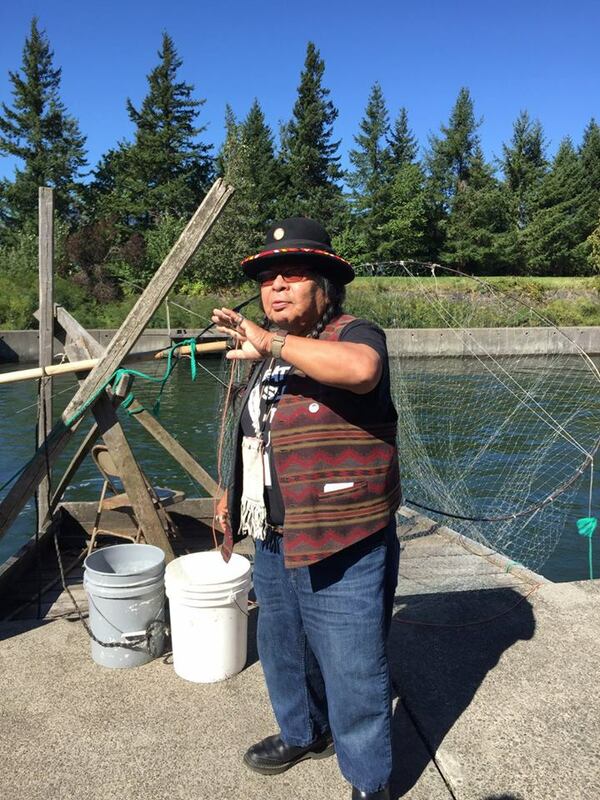 Participants learned about the Doctrine of Discovery, and the interlocking recognition by the tribes of salmon as both cultural icon and harbinger of the impacts of pollution and climate change. 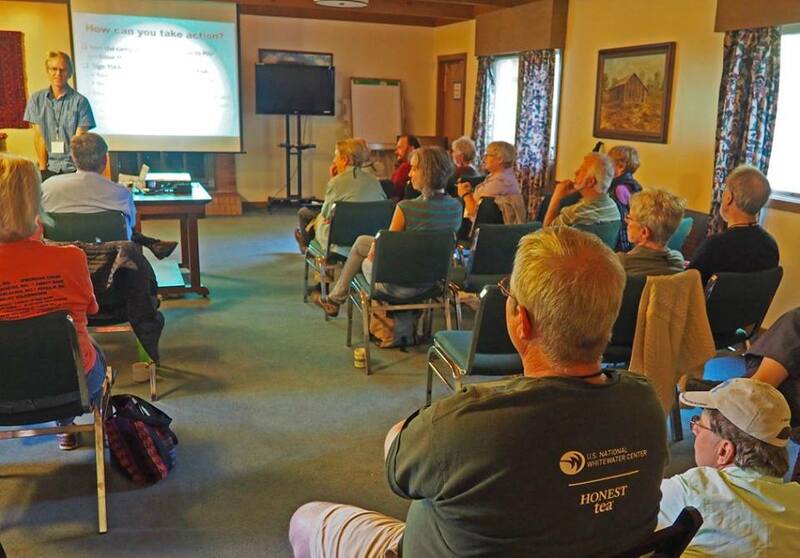 To read more about the pre-conference, see this article by one of the attendees: Presbyterians for Earth Care meet with Native Americans in the northwest. I joined the main part of the conference partway through, arriving just in time to experience the “Blanket Exercise” along with the group. This is an experiential way to learn about the history of the relationship between Indigenous and non-Indigenous people in North America, where blankets on the floor represent the land on which the Indigenous people reside, and individuals represent the number of Indigenous people. Blankets and numbers of people are reduced as the history unfolds. If you have never participated in this exercise, I encourage you to check it out — it is powerful, and it is useful for kids and adults alike. Following that experience, a woman from the Columbia River Tribes shared about her sense of being hurt by the group the night before, when the group had cut off a tribal elder’s sharing (both pictured at right). This woman shared her feeling of pain, and she offered us forgiveness through sharing a sacred song, wafting forgiveness onto us with her fan, and sharing a corn seed with each of us as a reminder to cultivate new life. Though I had not been present for this particular offense, I was deeply moved by this offer of forgiveness right after the 500+ year history of my people’s mistreatment of her people was narrated. This one experience was a minor thing compared to the broken promises, violence, and destruction of culture in this long history, but it adds insult to injury. I was grateful for this woman’s courage to speak up when she felt hurt, and humbled by her willingness to offer forgiveness…again. I appreciated PEC’s intention to meet with, learn from, and build relationships with the Indigenous people of the region. This takes courage, because first of all, we may fail — and, indeed, it sounds as if they did fail. It can be awkward creating these kinds of cross-cultural gatherings, each community with its expectations and norms, and with minimal understanding (at least on the part of those of us who are European Americans) about what to expect. And yet, we need to start somewhere, as we work to forge new bonds of reconciliation with people and other parts of creation. We need to be willing to make mistakes and apologize, to recognize what we do not know, and to be willing to see God at work in the cultures and practices of other groups. I was also impressed with the depth and range of environmental care that those at the conference are already engaged in. I got to share about watershed discipleship, and many were excited about the framework as a name to fit what they were already practicing, and to deepen their practice with awareness of and love for one’s particular watershed. One person told me they “only” have about 200 Earth Care Congregations, an ongoing certification program for local churches. I attended a workshop about the Presbyterian Hunger Program, which works to alleviate hunger not only through providing food, but also through interrupting the systemic causes of hunger. They are currently leading advocacy against TIAA-CREF’s land grabs in Latin America, among other projects. I also participated in a regional group, sharing with those from the Northwest about our environmental work and/or aspirations. It was encouraging to hear about everyone’s work, as well as to build a stronger network with those in the region who are doing similar work. While I am not Presbyterian, I was welcomed, and I found it inspiring to know of the good work this denomination is engaged in. 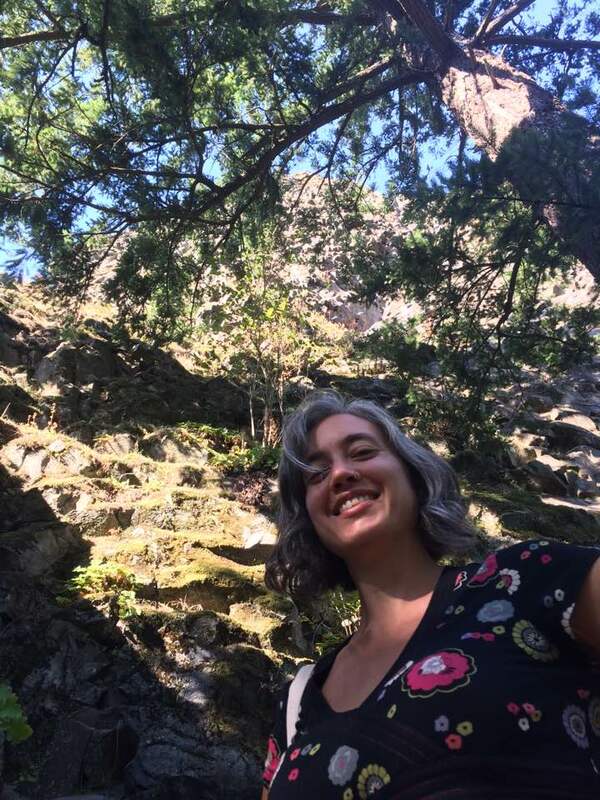 I also enjoyed a local hike in the Columbia Gorge, making new friends and appreciating the beauty of creation. Previously, PEC has been focused on “greening” buildings, environmental advocacy, and incorporating creation care into education and worship. This conference brought the opportunity to engage more deeply with understanding of one’s own watershed, and faced into the very real need for reconciliation with Indigenous populations. It focused unflinchingly on the Doctrine of Discovery, beginning and ending with a focus in this area. 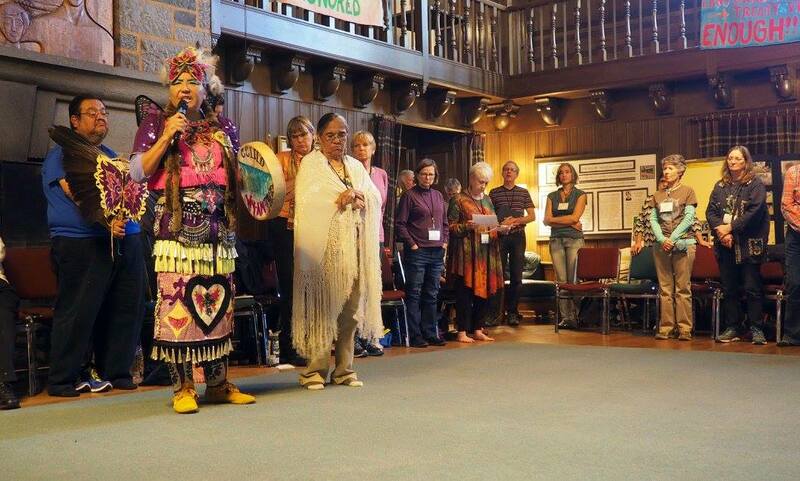 Not only the conference focused on the Doctrine of Discovery, but the entire Presbyterian Church (U.S.A.) focused on the Doctrine of Discovery in September, one month in a year-long series called Facing Racism. While Presbyterians are not perfect at caring for creation, I am grateful for their example, hard work, and attempts to begin the hard, uncomfortable work of decolonizing Christian theology and practice. If we as Christians are to repent — to turn around — and learn to live another way, first we have to recognize the damage that we’re doing, lament it, confess it, and journey with others on a road marked by shalom. To be disciples in our watersheds, first we must recognize we live in a watershed, learn to know and love it, learn what its weaknesses are, and partner with others toward a more holistic health for people and region. I enjoyed learning from and with Presbyterians as they traveled on this journey, and I encourage you to check out the work they are doing as a model for your own congregation and denomination, particularly their suggestions for Earth Care Congregations.